Garnacha, also known as Grenache, is one of the world’s oldest and most widely planted wine grapes. Due to its long growing season and affinity for heat, it is the perfect Mediterranean grape. It has proliferated from its ancient homeland in Aragon to as far as Lebanon in the East, most of North Africa and throughout most of the new world. It’s luscious, fruity, intense and very diverse. Although most Garnacha is used to create blends – think Chateauneuf-du-Pape – it is starting to come into its own as a varietal wine, ready to take the worldstage with Cabernet Sauvignon, Pinot Noir and Chardonnay. A grape for all occasions, Garnacha encompasses red, white, rosé, and sweet styles. The grape is very expressive with a wide range of aromas depending on its originating terroir. Red Garnacha wines are fruit forward, lush and soft on the palate, with a good balance between sweetness, acidity and tannins. Key aromas and flavors include red fruit and spices. Garnacha rosé delivers aromas of strawberries, rose flowers and a sweet berry finish; these wines are perfect for hot weather. White Garnacha produces white wines that can range in style from fresh and mineral-driven to rich and lush. 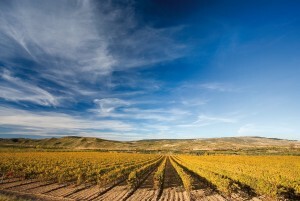 In Spain, as a result of great attention to terroir, major investment in quality, modern winemaking techniques, and old vineyards, a new generation of winemakers is producing Garnacha wines of exceptional character and concentration. We’re pretty excited about what they are doing! The 5 most important P.D.O. (Protected Designations of Origin) for Garnacha in Spain are Calatayud, Campo de Borja, Cariñena, Somontano, and the eponymous Terra Alta. Calatayud is known for its high altitude, rugged terrain and a rich variety of soils. These impressive natural conditions produce a diversity of high quality Garnacha wines. Campo de Borja is known as the self-proclaimed “The Empire of Garnacha.” It was the first to explore and fully develop the concept of modern varietal Garnacha wines, and produces some of the most renowned examples in the world. Cariñena is the oldest P.D.O. in the region of Aragon. Known as “El Vino de las Piedras” (“The Wine of the Rocks”) for its rocky and compact soil that holds water exceptionally well, Cariñena is also the largest of the P.D.O.s, with 14,513 hectares of vineyards and 1,600 growers. of the vineyards are currently planted with Garnacha, the region is committed to the varietal and expects to double plantings over the next few years. Terra Alta is the white Garnacha specialist. It became a P.D.O. in 1982 and produces around 80% of all the white Garnacha in Spain. It should noted that Garnacha can also be fortified (as it often is in Australia and in the vins doux naturels of Roussillon), for delicious Port-like wines. Pick up some Garnacha today to see why this is a fantastic, and affordable, varietal wine! Previous PostGreat Toasts for Momentous OccasionsNext PostFood & Wine: Happy Homemade Soup Day!! !